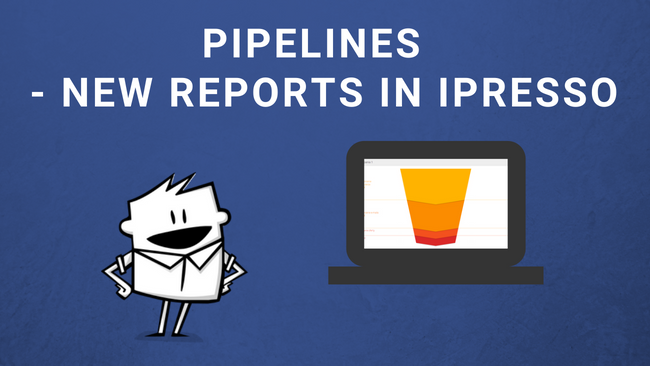 New reporting feature, Pipelines, which is soon to be launched in iPresso, will allow marketers to quickly and intuitively track number of contacts in various segments that make up a marketing process. 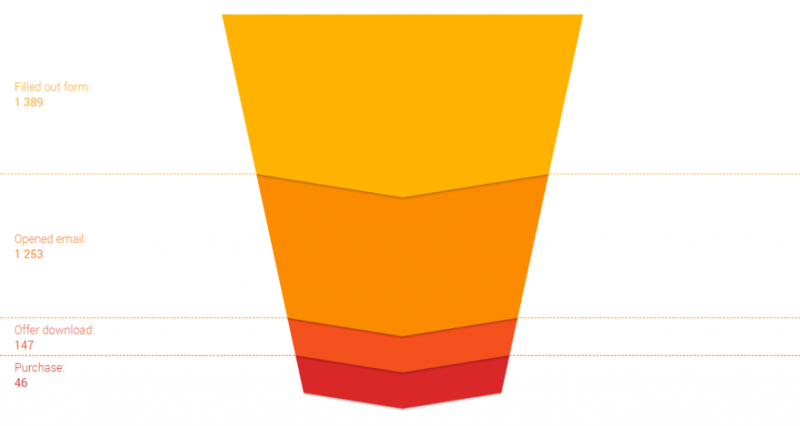 Pipelines enable marketers to keep track of contacts on various stages of marketing campaigns. Their operation is based on the capabilities of segmentation – the system automatically checks current number of contacts in any given segment and records historical data related to the count of particular segment’s members. This form of report gives iPresso users ability to keep an eye on conversions between consecutive stages of their campaigns. In the example below, we can see four stages of a campaign: filling out a form, opening an email, downloading an offer, and finally – purchasing the product. iPresso will automatically, once a day, check the number of members in every segment. This will allow marketers to keep track of contact flows within the process. This feature also enables marketers to grasp historical changes in particular segments. One of the undoubted advantages of this solution is the ability to set up particular segments in any possible manner, which allows marketers to adjust their pipelines to specific needs of their company.